Tired of the same old tourist traps? Whether you’re a visitor or a local looking for something different, let Kentucky Off the Beaten Path show you the Bluegrass State you never knew existed. Soothe your ailments and your hunger with the healing properties of poke at the Poke Sallet Festival; take an expedition through Walt Whitman’s “vale of the Elkhorn” in a canoe; or stay in your own personal concrete teepee in Cave City. Visit the incredible collection of fossils on display at Big Bone Lick State Park, in an area where colossal mammals came to lick salt (and sulfur) more than 10,000 years ago. That’s a question Mark Moran and Mark Sceurman have enjoyed asking for years—and their offbeat sense of curiosity led them to create the bestselling phenomenon, Weird N.J. Now the weirdness has spread throughout key locales in the U.S. Each fun and intriguing volume offers more than 250 illustrated pages of places where tourists usually don’t venture—it’s chock-full of oddball curiosities, ghostly places, local legends, crazy characters, cursed roads, and peculiar roadside attractions. What’s NOT shockingly odd here: that every previously published Weird book has become a bestseller in its region. A drive straight across the Bluegrass State takes nearly eight hours. But that would bypass all the worthwhile distractions between Paw Paw in Pike County and the Kentucky Bend of the Mississippi River in Fulton County. Treasures like Abraham Lincoln's boyhood home that rests inside a Greek-style temple. Or the Jefferson Davis monument rising from a field in Fairview. From rip-roaring barn dances in Rabbit Hash to the silent reverence of the monks at the Abbey of Gethsemani, the Commonwealth is chock-full of timeless landmarks. Join native Kentuckians Cameron M. Ludwick and Blair Thomas Hess as they explore all the amazing and irreplaceable things that make the state one of a kind. Make bird watching in Kentucky even more enjoyable! With Stan Tekiela's famous field guide, bird identification is simple and informative. There's no need to look through dozens of photos of birds that don't live in Kentucky. This book features 112 species of Kentucky birds, organized by color for ease of use. Do you see a yellow bird and don't know what it is? Go to the yellow section to find out. Fact-filled information, a compare feature, range maps and detailed photographs help to ensure that you positively identify the birds that you see. Native Kentuckian Theresa Dowell Blackinton gives readers an insider's look at the Bluegrass State, from the revelry of the Kentucky Derby Festival to quiet, cool Mammoth Cave. Blackinton provides suggestions for unique trip itineraries, including Horsin' Around, Traveling the Bourbon Trail, and The Best of the Bluegrass State. 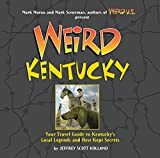 Complete with tips on where to find the best bluegrass tunes and barbecue in Owensboro and how to rent a house boat to cruise the Land Between the Lakes Recreation Area, Moon Kentucky gives travelers to tools they need to create a more personal and memorable experience. An up to date price guide for Kentucky Derby mint julep glasses. Covers every official Kentucky Derby mint julep glass. Also talks about bar glasses, sample glasses and more. All accepted major errors covered. Show all sides of the early rare glasses. Full size glass photos. Realistic pricing. The Gardener’s Guide format is proven to help gardeners experience more success and enjoyment from their gardening efforts. The Gardener’s Guide series provides useable information on the plants that perform best in Tennessee and Kentucky in an easy-to-use format. Gardeners will find information they can trust and use successfully in their own gardens. This book is authored by Judy Lowe, leading gardening expert in the region. The Kentucky Nature Set offers the best in wildlife and plant identification for The Bluegrass State. The set includes three Pocket Naturalist Guides to Kentucky, Trees & Wildflowers, Birds, and Wildlife, and is attractively packaged in an acetate bag. The beautifully illustrated folding guides highlight well over 300 familiar and unique species and include ecoregion maps featuring prominent wildlife-viewing areas and botanical sanctuaries. Laminated for durability, Pocket Naturalist Guides are lightweight, pocket-sized sources of portable information and ideal for field use by novices and experts alike. Made in the USA.